If your idea of a drive-in is SONIC, then you need to read this. The only other time I went to a drive-in was in college when I saw the double-feature: “Soapdish” and “Beetlejuice“. That one was with a date… not a great date… not great movies. Jim and I went to a drive-in movie the other night. We had a blast, and we learned a few things about drive-in movie theaters at the same time! First, to give you an idea of the rise and fall of drive-in theaters through the years, consider the fact that Tennessee alone has gone from a high of 112 drive-ins (1958) to an all-time low of only 14 (1999). I guess everything old IS new again… if you wait long enough! 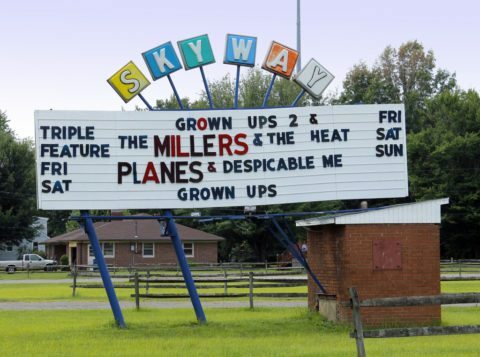 Here’s an entire list of Tennessee Drive-Ins. Why Go To A Drive-In? A low-cost form of entertainment for the whole family. A nostalgic activity — like a blast from the past. A great and unique idea for dates. A way to enjoy the great outdoors. The closest thing to being at home watching a movie. 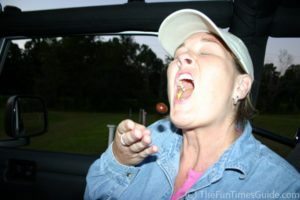 Yet another fun thing to do in a convertible. One of life’s simple pleasures you can still enjoy. 1. Everyone’s enjoying this whole “retro” style right now… from the clothes we’re wearing to the games we’re playing and the way we’re decorating our homes. Today, it’s “cool” to take a step back in time! 2. A less expensive option to the outrageously priced movie theaters… aside from the fact that movies in theaters are getting so darned EXPENSIVE, people are seeking enhanced movie-going experiences these days. Who can afford to take the entire family to a movie these days? 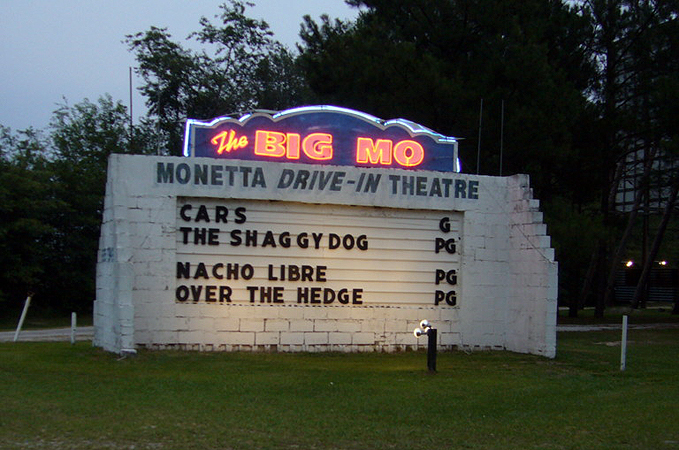 Depending on where you live, movie theater ticket prices range from $8.00-$11.00 (per person), while drive-in theater ticket prices are only $5.00-$6.50… and that’s usually for a double-feature! Drive-ins are America’s answer to “family entertainment on a budget”. In case you’re thinking that today’s drive-ins are only showing “old” or “out-dated” movies… consider the fact that MOST drive-ins are showing current releases; the two of us saw two movies (“The Wedding Crashers” and “Red Eye”) for only $12 total. We also took in a Big & Nasty burger and fries (I mean Big & Tasty!) for our pre-show entertainment, some M&M’s for dessert (which also provided another source of entertainment), and we purchased some classic movie-theater buttered popcorn and soda at the concession stand. Mmmmmm… What a great date! Double Features: You (almost always) get a double-feature… that’s two movies for LESS than the price of one in a “regular” theater. Bring Your Own Food: You get to bring in your own pre-popped popcorn, candies and drinks — or even a Big Mac if you like! Kids Get In FREE: Kids (usually) get in FREE (check the drive in theater before arriving). No Noise To Distract You: You don’t have to worry about crying babies or ringing cell phones (yours or someone else’s) because everyone’s in their own car and the speakers drone out any “extraneous sounds”. No Drive In Speakers: You don’t have to put those awkward, clunky speakers on your window anymore… these days you simply tune your radio to a set station. You Can Smoke: While I’m not in favor of smoking, those who smoke will appreciate the fact that you can puff till your heart’s content at the drive in theater. You Have Your Own Space: You’re not squeezed into one room with a few hundred of your closest friends (as in a “regular” theater) with people talking through the whole movie. … the small drive-in screens that have weathered years of abuse in the great outdoors don’t even come close to matching the quality of today’s multi-story projection screens found at “regular” movie theaters. … for most of us, there’s no comparison between the standard car speakers found inside our vehicles and the dolby digital surround-sound found at traditional movie theaters. 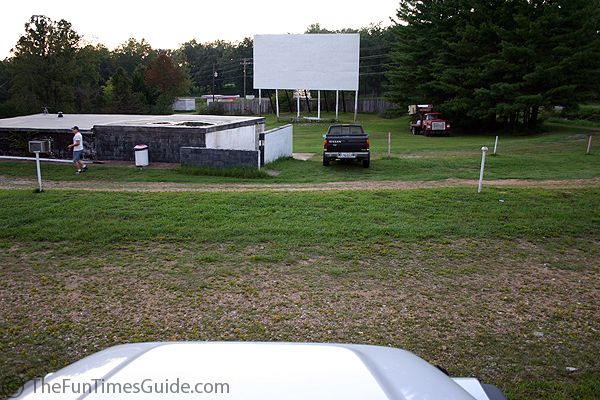 My take: Drive-ins are a great piece of history that I, for one, would like to preserve. There’s nothing like a movie under the stars… especially in a convertible (like a Jeep). Truth is, the movie itself doesn’t even have to be that good. It’s the whole package that makes a drive-in worth going to. Window cleaner — those disposable window cleaner wipes are great in times like these; whether you do it before you go or while you’re waiting for the movie to start, make sure you windows are clean! Something to block the dashboard lights in your car — we found the bright lights which display the digital radio station to be annoying (until we covered it up with an old map). Others might find a red ignition light or some other dashboard light glowing all night. Pillows — for added comfort, even blankets if it’s going to be chilly or you plan on sitting outside the car (many do). Bug spray — mosquitoes can be a pain at certain times of the year. Penlight or handheld flashlight — great for making your way to & from the bathroom or concession stand. Wet Ones — I add this one for those who take kids, and for those who don’t enjoy “the great outdoors”. 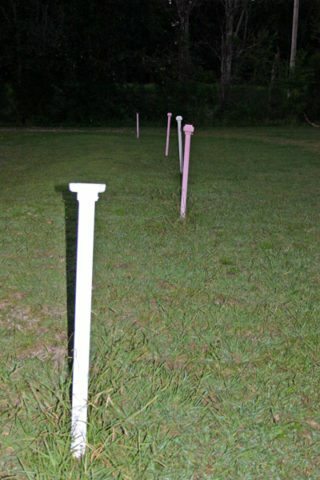 A drive-in is not the cleanest of environments… kinda like a bowling alley! 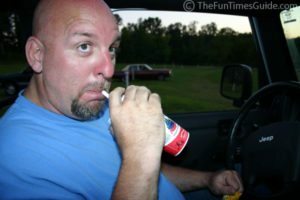 So You Wanna Own A Drive-in?